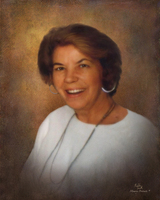 Provide comfort for the family of Eleanor Gray with a meaningful gesture of sympathy. Eleanor Evans Gray, age 91, of Salem, Indiana, formerly of Carmel and Indianapolis, Indiana, entered this life on April 13, 1927, in Brooksburg, Indiana. She was the loving daughter of the late, James Russel and Marie (Vaughn) Evans. She was raised in the Brooksburg, Indiana area and was a 1945 graduate of the Madison High School. Eleanor was a former secretary in the regional office for the VA Hospital in Indianapolis, Indiana, retiring in 1981, after several years of service. She was a former travel agent for Passports International for three years. Eleanor was an avid fan of the Indianapolis 500. A special thanks and appreciation to Eleanor's caregivers at Meadow View Health & Rehabilitation who lovingly cared for her for the past several years. Eleanor passed away at 9:12 a.m., Friday, December 21, 2018, at the Meadow View Health and Rehabilitation in Salem, Indiana. Eleanor is surived by her nephew, John David Todd and his wife, Lynn of Madison, Indiana; her nieces, Joan Peters and her husband, Charles of Frankfort, Kentucky and Brenda Smith of SC and her great-niece and great-nephews. She was preceded in death by her parents, James Russel and Marie (Vaughn) Evans; her sisters, Roberta Smith and Rosemary Todd and her nephews, Carroll Troyce "CT" Todd and Bruce Smith. Graveside Services will be held at a later date in the convenience of the family in the Brooksburg Cemetery in Brooksburg, Indiana. To send flowers in memory of Eleanor Evans Gray, please visit our Heartfelt Sympathies Store. Graveside Services will be held at a later date in the convenience of the family. Provide comfort for the family of Eleanor Evans Gray by sending flowers. Eleanor was a great friend of my mother, Martha Clifford. She was always so well dressed and so well put together, she looked as if she had just stepped out of a magazine. She had a charming slight southern accent and a devilish sense of humor. Such, style, grace and charm!